We believe that every human and every business should be free from having to pay for what is already free, energy. 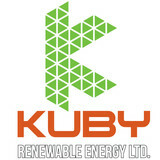 We install, maintain and service renewable energy systems for all types of buildings in the province of Alberta. We also design customized energy management programs for commercial buildings integrating HVAC programs, energy management and renewable energy systems. Our passion is to bring our clients financial freedom through smart energy production and use. Everything from design to service to maintenance, we have you covered. Our in depth understanding of building HVAC systems, envelopes and energy use and management males sure that you the end user are comfortable and confident. Mission Statement: To accelerate Alberta's transition to sustainable energies. Why Statement: Because we believe in freedom. We love renewable technologies and we love innovating ways to solve our client’s needs. Everyone at Think Mechanical comes to work every day to do what they love and we get to inspire others to do the same, in fact, half the fun is figuring all the ways we can do just that. We get to work with amazing likeminded companies that are working towards the same goals, changing the world, making it better. We consider ourselves to be at the forefront of this change. 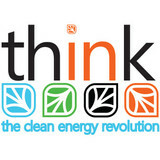 Think Mechanical isn’t a company, it’s a revolution, the Clean Energy Revolution. The renewable energy market is upon us. With the global pressure on jurisdictions to adapt environmental strategies we are poised and prepared to handle the rapid growth of the market. Not only with the advent of the new market there is a social push to change the way business is done. We believe we are one of those companies. We rally around our core "why" statement "Because we believe in FREEDOM" like it's a warm campfire on a cold night. We also adhere to 4 core values; Selflessness, Excellence, Tribe and Social Justice. We are not primarily driven by the bottom dollar, rather we are guided by our values, seeking meaningful purpose through work and focused on freedom. EnSegs helps you produce and conserve energy. EnSegs was created to provide an affordable method of investing in renewable energy. The EnSegs team will design and install a solar array on your home or business. We are a professional electrical contractor specializing in the engineering/design, installation, supply and project management of Solar Photovoltaic Energy systems. We are an all-in-one solar services contractor and we pride ourselves on providing professional designs executed with master workmanship. Every project we design is custom to fit your architecture, lifestyle and budget. 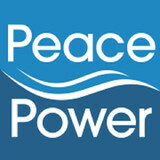 Peace Power is a local Alberta business that allows residents and businesses to save money on their power and gas bills and give back to the local community at the same time. We have committed to giving back 10% of yearly profits to local community initiatives. How can we possibly have lower rates than the massive default retailers? As a small company our overhead costs are very low. Further, we are content with a small profit margin. So what does this all mean? It means you save and your community gains! Elementium Energy prides itself on being the go-to choice for clients looking for Solar Energy Installation, and Wind Energy Installation services. Let’s say you want a solar electric system for your home. An off-grid system basically consists of solar panels and battery banks. These battery banks store the sun’s energy so you can use electricity at night or on a cloudy day. This system is designed to keep household electricity running for about two or three cloudy days; longer cloudy periods require a backup generator. To install an off-grid system, you’ll want to hire a certified Alberta solar energy contractor. Along with off-grid solar, wind and hybrid energy systems that include batteries and backup generators, there are also grid-tied solar and wind operations. Grid-tied systems are attached to your Edmonton, AB utility company so if you produce more energy than you use, your meter goes down and you build up energy credits. Can you give me any information on Alberta solar rebate programs? 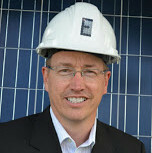 Find solar energy contractors in Edmonton, AB on Houzz. Search the Professionals section for Edmonton, AB solar energy contractors or browse Edmonton, AB photos of completed installations and look for the solar energy contractor’s contact information.